Jesus Feeds the 5,000: Today’s Scripture Picture from The Scripture Lady comes from John 6:1-15 and will remind you and your children that God provides all our needs. 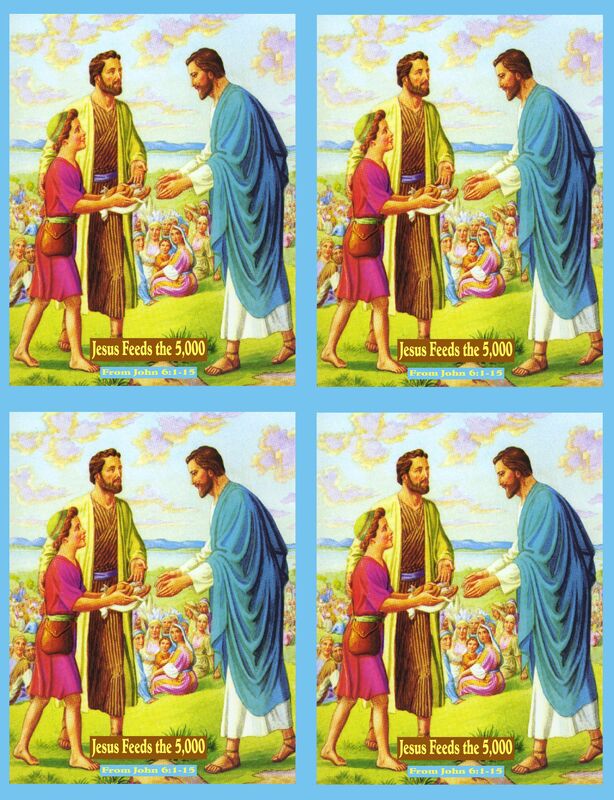 Jesus Feeds the 5,000 – today’s SCRIPTURE PICTURE – shows one of Jesus’ disciples presenting the food of a young boy to Jesus. The disciple lacked faith, because he says to Jesus, “But what difference will (this food) make among so many?” But Jesus takes this small offering and provides a big miracle. 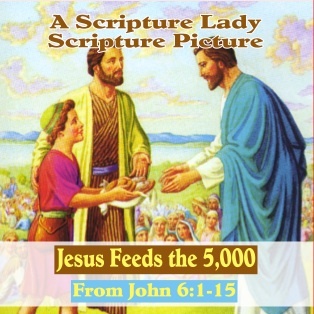 What can you do with Jesus Feeds the 5,000: Today’s SCRIPTURE PICTURE from The Scripture Lady? Point to each person in the picture and ask the children if they know who each person is. What time of day is it? Daytime or nighttime? Can you see the crowd of people? How many people do you think there are? What is the young boy holding? What kind of foods do you eat for lunch? Have you ever shared your lunch with someone? 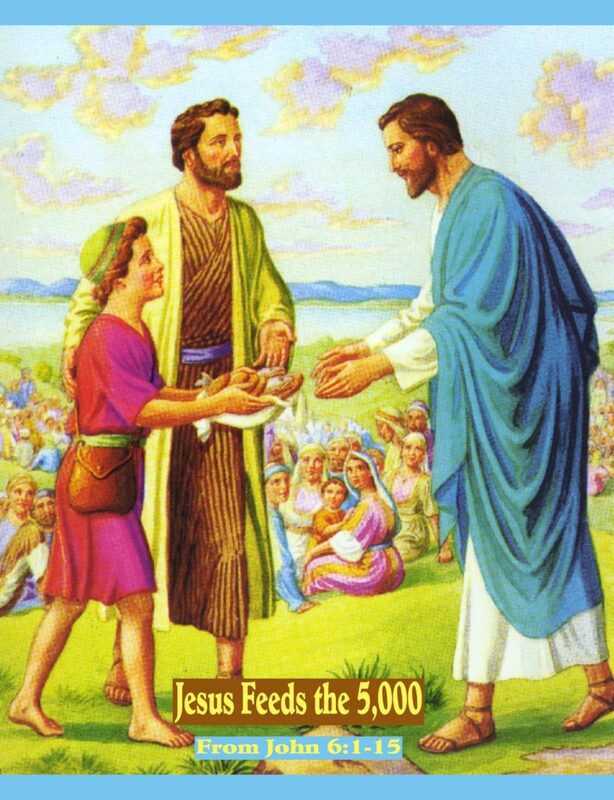 Do you think Jesus has the power to feed the whole crowd with the boy’s lunch? What is the miracle that Jesus did in this story? Why do you think the disciple doubted that Jesus could feed all the people? Do you ever have doubts about God’s power in your life? Why do you think God does miracles sometimes, but seems to not do miracles at other times? If you liked Jesus Feeds the 5,000: Today’s Scripture Picture from The Scripture Lady, then sign up to receive Scripture Lady’s Free Email Kid Tips packed full with creative ideas and receive 12 FREE Bible downloadable resources to help get the kids you minister to excited about the Bible! Just go to www.MyFreeBibleGames.com to fully subscribe.